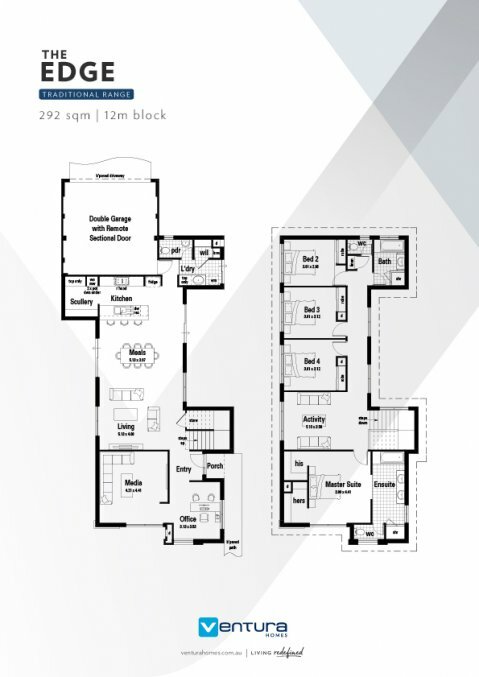 A stunning two storey display home with great zoning. Upstairs features the four bedrooms sharing an activity room, including the master suite with his and hers walk-in robes plus twin basin ensuite. Downstairs is the expansive living area with front office and front media room. At the rear is the kitchen with scullery, laundry room, powder room and double garage for easy shoppers entrance.